Order now and PickleLicious will send an order of pickles every month for 3 or 6 months. Retail Store Special – a FREE pint of pickles! Just mention our newsletter, and receive a FREE pint of pickles! 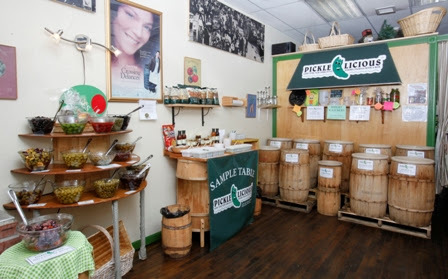 Continue Reading | Comments Off on Retail Store Special – a FREE pint of pickles! Continue Reading | Comments Off on We Sell Gift Certificates! For our Email List Members only. If you’re not part of our newsletter, be sure to sign up by Saturday midnight EST, to receive a discount code! Instead of pitching tents, elbowing people in the face and yanking a toy out of another shopper’s hands on Black Friday, SHOP LOCAL with US! Continue Reading | Comments Off on Happy Thanksgiving!